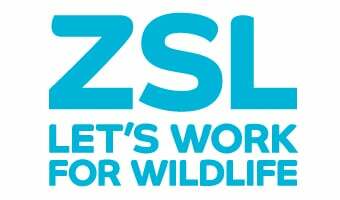 ZSL’s scientific research division, the Institute of Zoology, specialises in scientific issues that affect biodiversity conservation. This research directly supports ZSL’s field conservation programmes, which are currently run in over 50 countries worldwide, including the UK. The Institute of Zoology is one of a number of organisations that collectively agreed to take part in the Garden Bird Health initiative (GBHi). The GBHi published best practice guidelines for feeding garden birds which are available in a booklet. The GBHi also launched a collaborative research project to monitor garden bird health using surveillance schemes to record and investigate causes of garden bird mortality and disease across Great Britain. This has evolved into the Garden Wildlife Health project that monitors the health of British garden birds, amphibians, reptiles and some mammals. Through this project we hope to learn more about the diseases that affect garden wildlife in Britain and the factors that affect their occurrence. Our aim is to translate this science-based information into practical recommendations to update best practice guidelines for garden wildlife. The GBHi benefitted from a legacy gift left by William Moordaff in his Will. He kindly left the residue of his estate to ‘any organisation which promotes the interests of small birds’ and ZSL received £100 that went directly towards this initiative and helped to fund investigations into the causes of garden bird deaths and diseases.